Turf's Up OBX is a unique sports club offering the opportunity to enjoy world-class custom designed HD golf, baseball, soccer, zombie dodgeball and a dozen other games using ultra high quality simulation technology. Practice indoors. Get golf lessons from a pro. Keep warmed-up during the off-season. Or just enjoy good company and a little competition with friends. 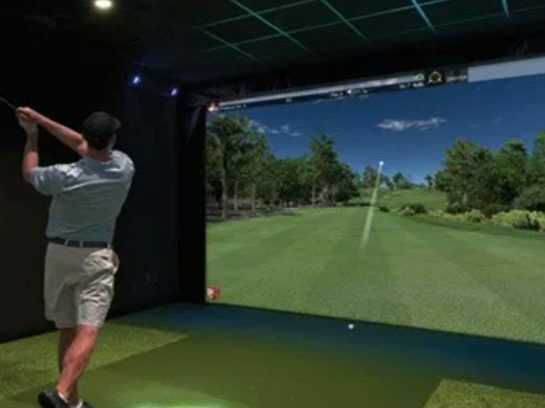 Turf's Up is an exciting, fun entertainment experience where friends, families, and competitors can gather indoors to enjoy world class custom designed HD golf and sports simulation technology to play, practice, and compete. Turf’s Up has been open since the end of June, 2017 and we are loving every minute. 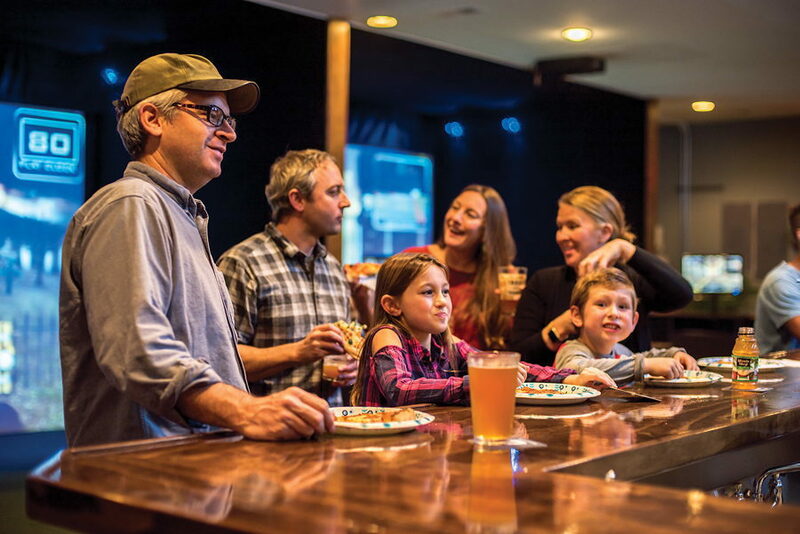 This is a unique, fun, brand new concept on the Outer Banks. We appeal to little kids and big kids of all ages. Love golf? 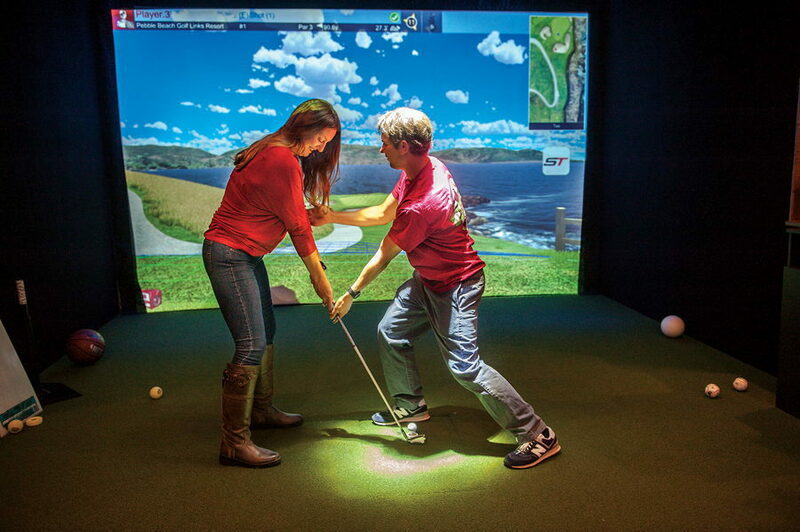 Come try your hand at one of our over 90 golf courses, including Pebble Beach and Pinehurst No. 2! Baseball more your thing? See how many homeruns you can hit or strikes you can throw! Our current pitching record is 80 mph. Beat it and earn a free Turf’s Up t-shirt! GOLF– Improve your own game, get some coaching from our pro or play against your friends on your choice of over 90 world-famous golf courses. 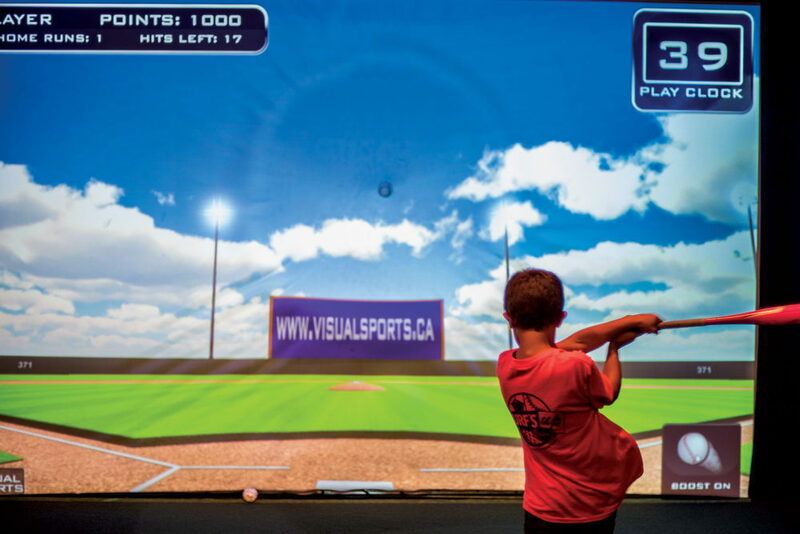 Baseball- Test your fastball or swing for the fences at your dream baseball stadium. You and your friends can compete to see who throws the hardest, who’s the best hitter and more. Zombie Dodgeball– Only you can save the world from the next zombie apocalypse! Football- Always wanted to compete with the pros? Find out if you can quarterback under pressure!!! Hockey- Need to keep warmed up during the summer or just want to see if you are the next Sidney Crosby? Find out just how fast your slap shot really is. Carnival- Sometimes carnival games are surprisingly tough. Are you ready to take them on? Soccer- Feel like you are in the middle of the action. Do you have what it takes to score the winning goal with the clock winding down? 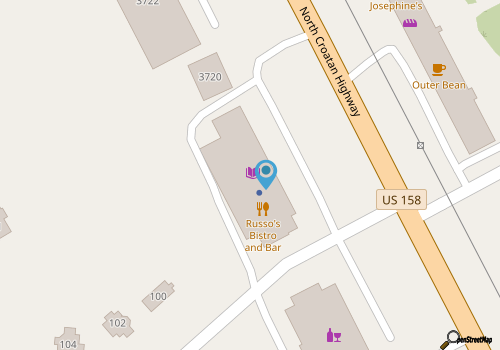 PRIVATE PARTIES, EVENTS, AND MORE! 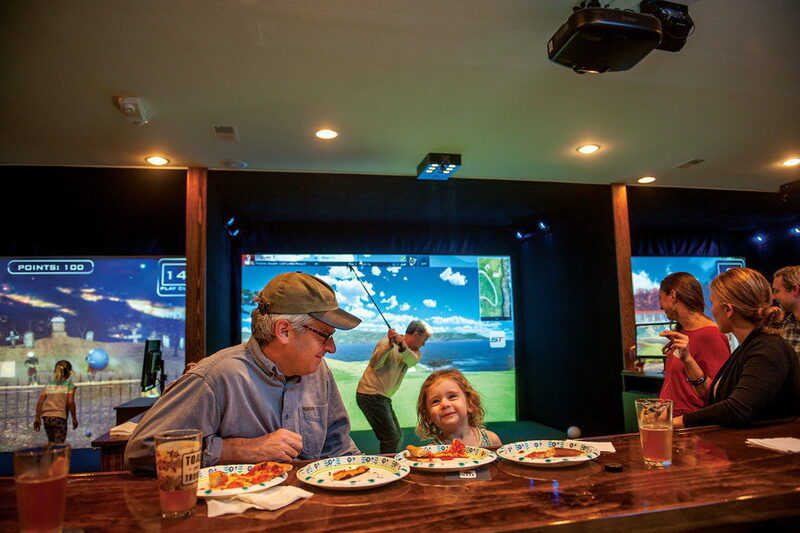 Take your group event to the next level at the Outer Banks most interactive venue! Birthdays, Corporate Events, Fundraisers, Teambuilding, Bachelor/Bachelorette, Fantasy Football Draft Parties, Family Reunions, Video Game Parties, Retirement Parties, Graduation Parties, etc. Great for big parties with state of the art AV capabilities. Contact us and we can customize a package for your group! Rain or Shine... 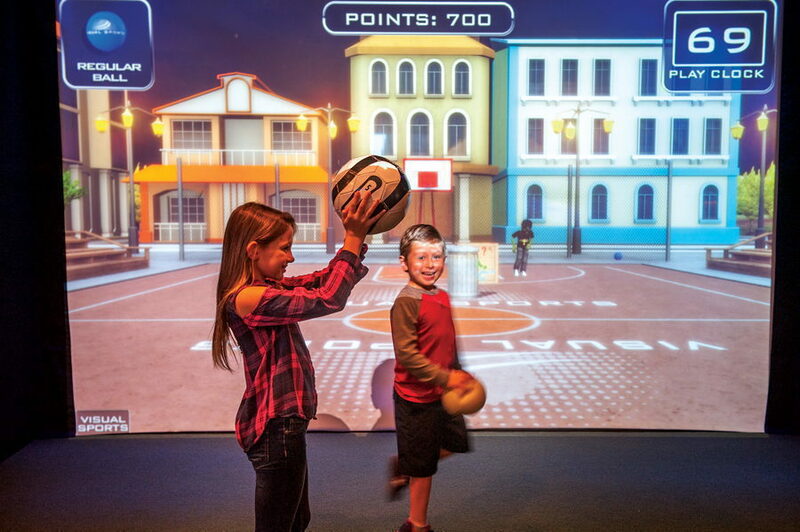 The Outer Banks' Premier Indoor Sports Club! Call 252-715-5820 for current hours.